The word “ecology” may seem to have rather suddenly intruded upon the world’s consciousness circa 1970, but at Vassar, Edith Adelaide Roberts, professor of plant science, was popularizing the term—and studying the interrelationship between organisms and their environment—half a century earlier. In addition, it was Roberts who proved (along with fellow Plant Science faculty member Mildred Southwick, in a 1948 paper presented to the Electron Microscope Society of America) that young green and yellow plants are the original source of vitamin A. “This being so,” the New York Times reported, “fish livers can no longer be regarded as the main source of vitamin A.” Later generations who have been spared doses of cod liver oil, preferring instead to get this vital nutrient from carrots or spinach, have reason to be grateful to Roberts. 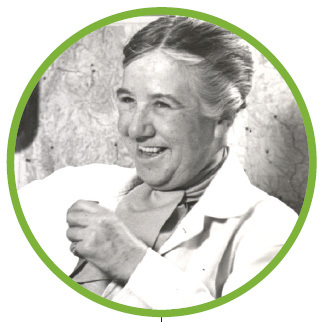 She was appointed associate professor of botany at Vassar in 1919; two years later, she was made a full professor and chairman of the department which, at her suggestion, was renamed Plant Science. 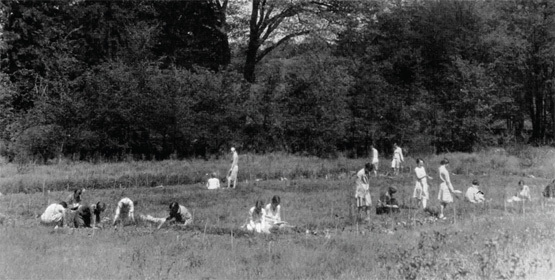 Roberts’s Outdoor Ecological Laboratory soon will rise again in a 21st century iteration. The very same land, surrounding the Fonteyn Kill between Olmsted Hall and Skinner Hall, will be renewed and expanded as an outdoor learning space as part of Vassar’s new Integrated Science Center. This past summer, Vassar students helped to remove invasive species from the area and to relocate native plants to the Ecological Preserve on the Vassar Farm. It is an appropriate tribute to the professor who made “ecology” a common term at the college long before it was popularized beyond Taylor Gate.